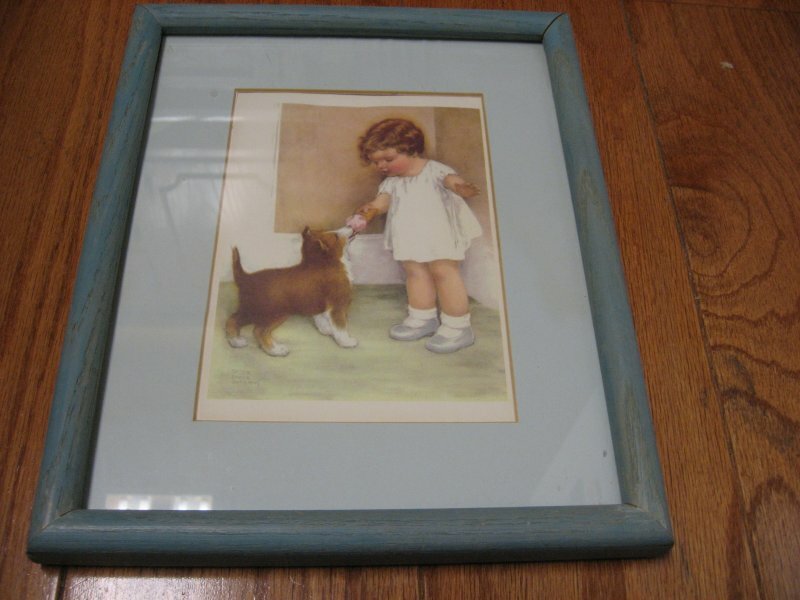 This is a beautiful reproduction of a signed painting of a child with puppy, framed and matted. There is glass in the wood frame. The whole piece measures 9" X 11"
Signed by the famous artist Bessie Pease.